Syria recently announced that it has handed over to its Russian and Iranian Astana partners a list of experts to participate in the upcoming UN-supervised “constitutional commission”. This is an important milestone in the peace process because it proves that President Assad was sincere when he told his Russian counterpart in Sochi last month about his intention to participate in this still-unscheduled gathering as soon as possible. Damascus had hitherto been dragging its heels in this respect as part of what can only be presumed was a strategic gamble to lessen the amount of “compromises” that it would inevitably have to make, though that policy backfired after it inadvertently led to Israel perceiving it as a pro-Iranian ploy to indefinitely preserve Tehran’s military presence in the Arab Republic. Consequently, Tel Aviv bombed Syria several times over the past month in ever-larger and more dramatic attacks that seem in hindsight to have been partially responsible for bringing Damascus to the negotiating table so suddenly. The upcoming “constitutional commission” doesn’t yet have a date attached to it, but the overall agenda is obvious and allows one to get an idea of some of the most contentious points of this gathering. Clearly, everyone is going to discuss the future role of President Assad, though it’s highly unlikely that he’ll be forced out of office after the Syrian Arab Army succeeded in liberating most of the country’s population. What’s more probable in this regard is that he will become a figurehead leader that remains in his position throughout the country’s post-war transition as it devolves from a centralized to a “decentralized” state. It’s precisely this transformation that will lead a lessening of his power as all sides try to figure out how it’ll play out in practice. 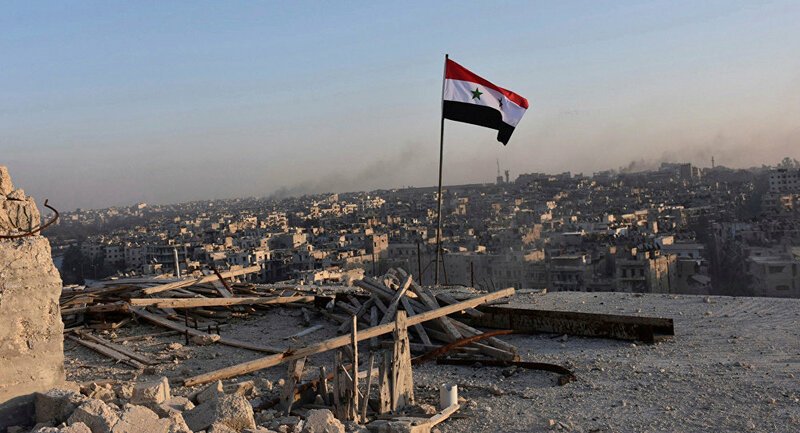 “Decentralization” is never an easy process, let alone in a state as identity-diverse as Syria whose previously unified identity was irreparably damaged as a result of the foreign-instigated conflict. Ethno-regional and sectarian fault lines have been violently forced to the surface in some parts of the country, mostly those in the “de-escalation zones” where so-called “armed opposition” members are still in control but also in the American-occupied northeastern one-third of the country east of the Euphrates. In the latter agriculturally and energy-rich region, the US’ Kurdish allies are already running their own de-facto independent “federation” and are unlikely to voluntarily give it up, nor is the national military capable of liberating it given that the Pentagon has already proven that it will respond with disproportionate force to even the mildest violation of the so-called “deconfliction line” across the Euphrates. The “armed opposition” and the militant Kurds also need to come to terms with Damascus about the future of their militias and whether they’ll integrate into a reconstituted Syrian Army or remain as the main military force in their unofficial “spheres of influence”. This is a very sensitive issue that could make or break the negotiations just as much as the discussions over President Assad’s political future could too, so all sides will need to proceed very carefully when talking about this topic. Taking stock of these disagreements, they can be summarized as working out the nitty-gritty territorial, administrative, and military details of Syria’s probable “decentralization” as well as the higher-level ones related to President Assad and the likely bicameral parliament that he’ll preside over during a transitional period once this “constitutional reform” process is completed.